Public spaces were formerly a venue for debate, where we could collectively imagine the identity and future of communities. In the contemporary moment, the representation of community is often constructed from afar, with little involvement from the public body, in the form of statistics. This project aims to reassert the role of the community in this process by changing the scale and aesthetic of gathering public opinion and demographics. In the new Statistical Commons, subway turnstiles are playfully turned into an interactive surveying tool, where individuals can pose questions to their neighbors, with real-time feedback and likewise construct “statistical narratives.” We aim to re-energize public space as a venue collective quantitative introspection. 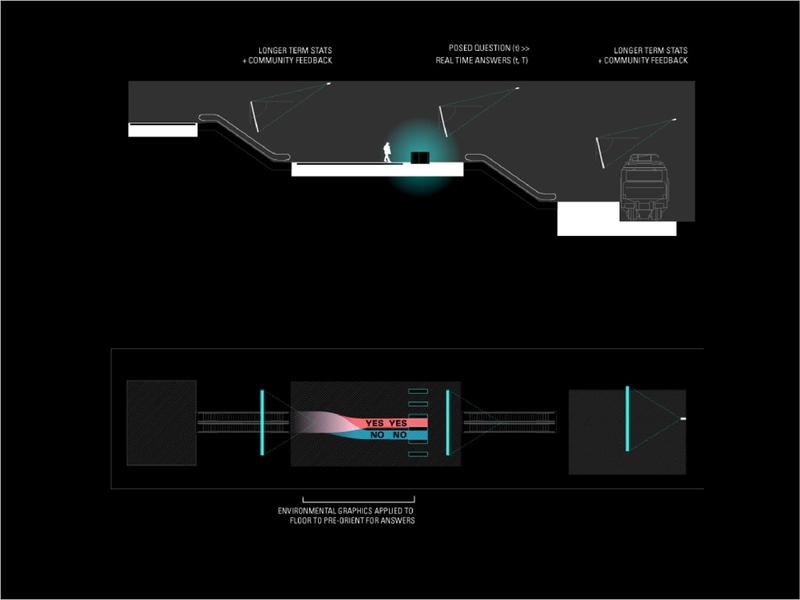 Demographics about the use of public spaces and the opinions of their inhabitants are collected with a real-time visualization system, using the the subway turnstiles as a method of voting. However, these otherwise dry statistics are used in a narrative fashion that cause inhabitants to reflect on their condition and their community. These narratives combine the statistics generated at the site with outside, publically-available data feeds to provide a fuller context for the questions being asked and forces acting on the public space in question. A community-based web tool allows anyone to pose a series questions through the system to the public, create analytical narratives, and ultimately generate reports. 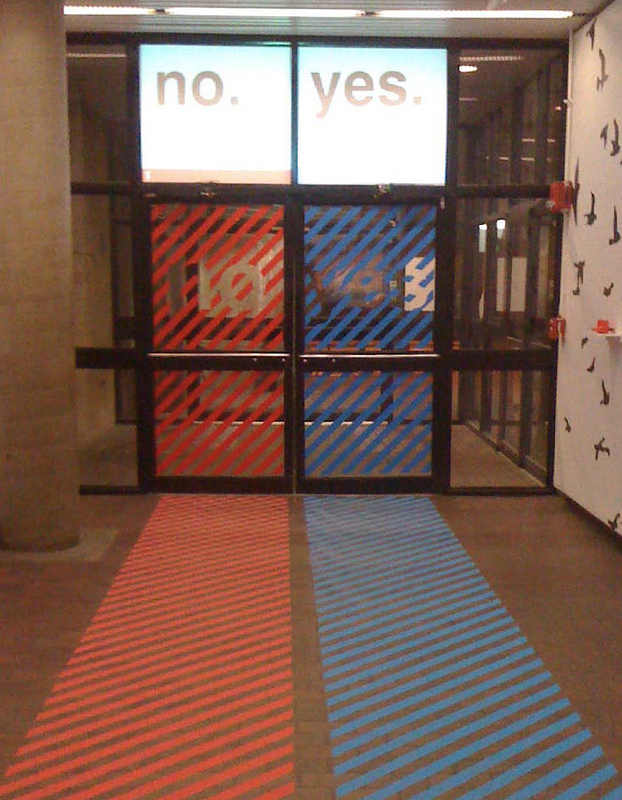 Instead of turnstiles, a set of double doors are used as the survey tool. The installation at the Harvard Graduate School of Design is a simple proof of concept that tests several of the tool’s main assumptions on a limited population. The tool generates narratives from simple yes / no questions, draws in additional data feeds for richer stories and lets the student body pose questions to their peers through an email interface—ultimately receiving their results back in the form of a simple report.